On Weathering illustrates the complex nature of the architectural project by taking into account its temporality, linking technical problems of maintenance and decay with a focused consideration of their philosophical and ethical implications.In a clear and direct account supplemented by many photographs commissioned for this book, Mostafavi and Leatherbarrow examine buildings and other projects from Alberti to Le Corbusier to show that the continual refinishing of the building by natural forces adds to, rather than detracts from, architectural meaning. Their central discovery, that weathering makes the "final" state of the construction necessarily indefinite, challenges the conventional notion of a building's completeness. 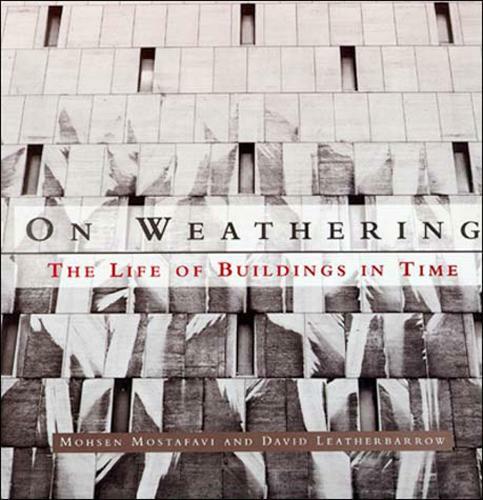 By recognizing the inherent uncertainty and inevitability of weathering and by viewing the concept of weathering as a continuation of the building process rather than as a force antagonistic to it, the authors offer alternative readings of historical constructions and potential beginnings for new architectural projects.